The Press Trust of India news agency said two trains arrived from the opposite direction on separate tracks at the same time, giving little opportunity for people to escape. The casualties were caused by one of the trains, it quoted officials as saying. Prime Minister Narendra Modi said he was extremely saddened by the accident. "Have asked officials to provide immediate assistance that is required," Modi said on Twitter. A witness said the train didn't even sound its whistle as it sped past the site, where hundreds were watching the burning of an effigy of demon Ravana during the Hindu festival of Dussehra. As the effigy was lit and the fireworks started, a section of the crowd started retreating toward railroad tracks while observing the event. "Why did authorities allow the fireworks display so close to the railroad track?'" he asked. He told the Republic television channel that he lost two brothers. 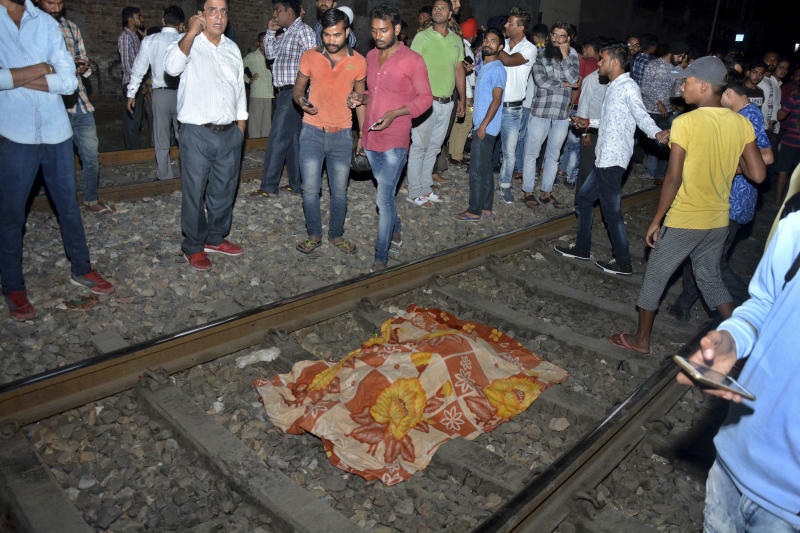 However, Junior Railways Minisfter Manoj Sinha said after visiting the accident site that organizers did not alert railroad authorities about their plan to hold the event there. 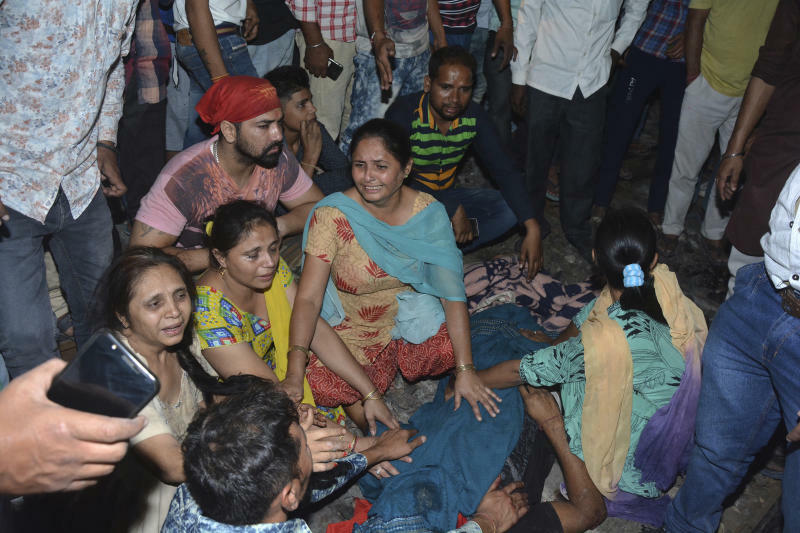 Shatrughan Das, an injured 35-year-old factory worker, said he was sitting close to the tracks watching the fireworks. "I didn't see the train coming. I fell unconscious. I saw the police taking me to a hospital as I regained consciousness." "I am feeling a strong headache and pain in my back and legs," Das said from his hospital bed, adding his injuries were not serious. 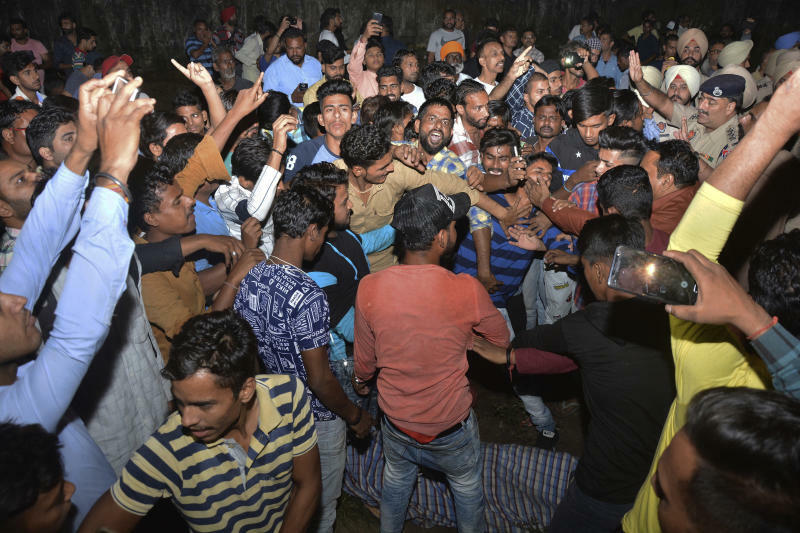 Following the accident, people rushed to the site, nearly 465 kilometers (290 miles) north of New Delhi, and shouted at railway officials for not taking precautions. At least 50 injured were admitted to a government-run hospital, PTI quoted Rajesh Sharma, a magistrate, as saying.